Conservatory Lab Charter School empowers a diverse range of children in preschool through eighth grade as scholars, artists, and leaders through a unique and rigorous academic and music education. We enrich the larger community through performance, service, and collaboration. As a laboratory school, we develop and disseminate innovative educational approaches that will positively impact children in other schools and programs. The ESL teacher provides specialized services as designated by a student’s ELD level. Conservatory Lab Charter School seeks individuals who are passionate about supporting students to meet their full potential. We seek motivated, insightful individuals are excited to collaborate with content teachers to plan and implement learning experiences that advance the intellectual, social, emotional and physical development of students. The ideal candidate will have experience analyzing student needs, designing hands-on experiences to support student learning, supporting implementation of students’ accommodations and modifying grade level work. The ESL teacher will help discern how to provide access to grade level standards with supportive learning experiences while building foundational skills. The ESL teacher should have experience supporting ELL students at all levels. The ESL teacher will provide service to students, as well as partner with academic and music teachers to support student learning. In addition, the ESL teacher should have experience with research based strategies to build literacy skills. 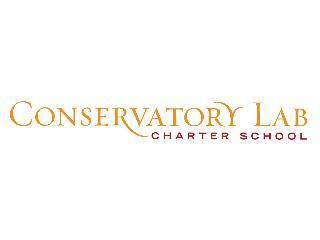 Welcome to Conservatory Lab Charter School! Conservatory Lab Charter School empowers a diverse range of children as scholars, artists, and leaders through a unique and rigorous academic and music education. We enrich the larger community through performance, service, and collaboration. As a laboratory school, we develop and disseminate innovative educational approaches that positively impact children in other schools and programs.